Hyundai recently introduced the world’s first production model Hydrogen Fuel Cell vehicle, the ix35. 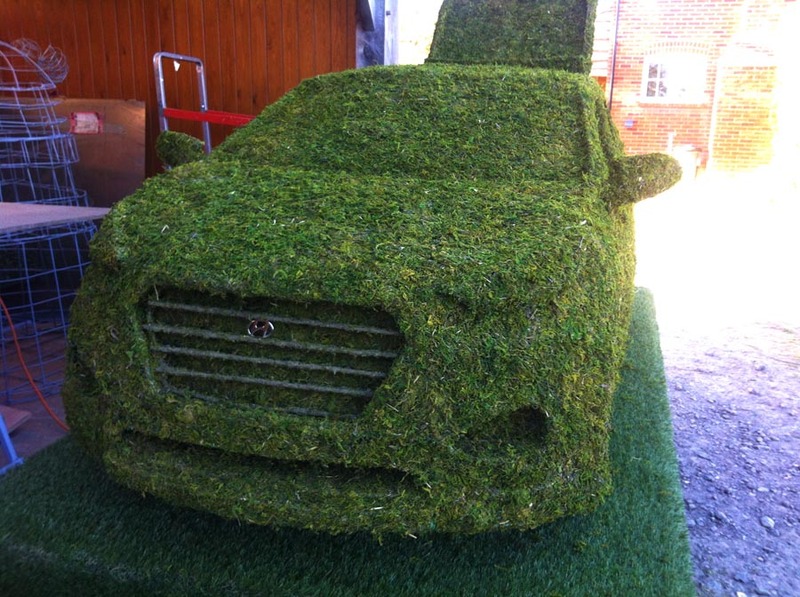 Powered by renewable energy and zero-emissions technology it offers the first viable alternative to the internal combustion engine. 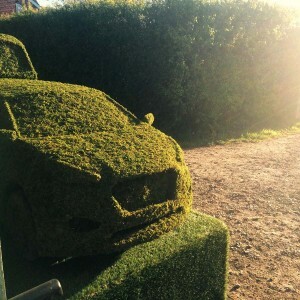 Looking for ‘green’ ways to promote their new product, Hyundai came to Agrumi to make a 1:2 topiary version of the hydrogen-powered original. 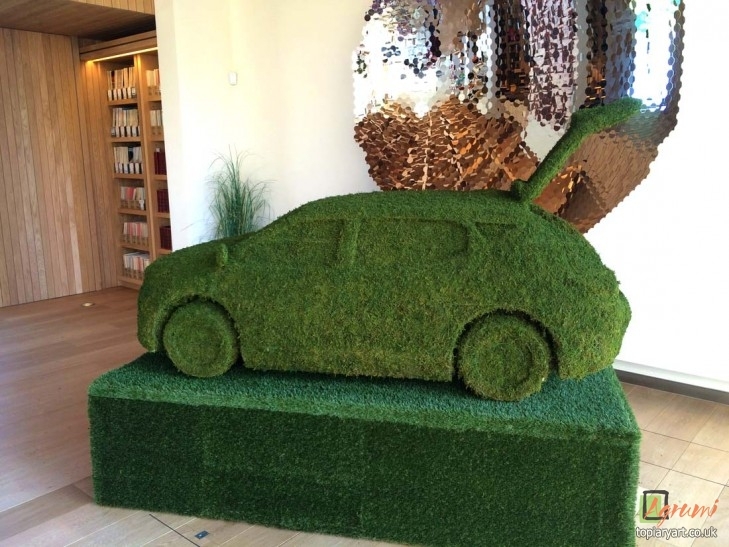 We were all too pleased to help promote green energy in the greenest way we know; using dyed dried moss to create a dense , soft to the touch, detailed model. 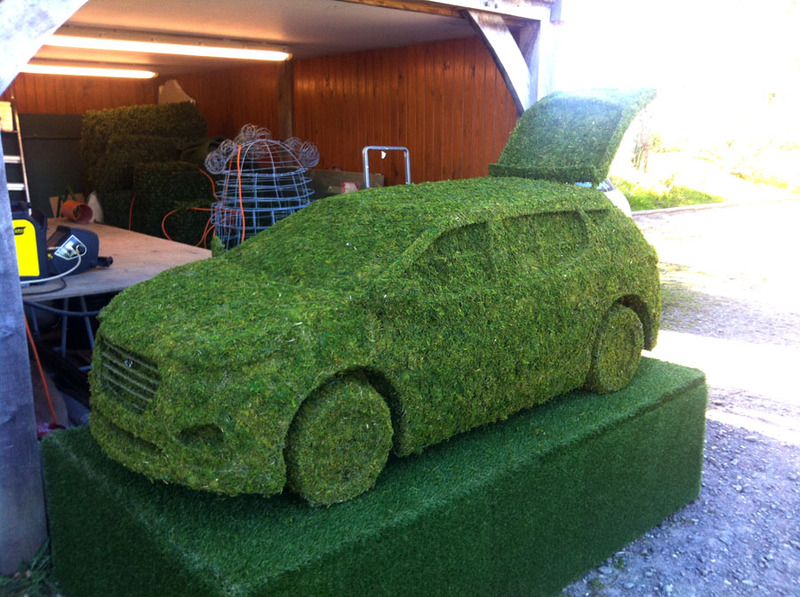 We made our topiary car with the boot open to reveal bottles of water – symbols of the green, clean and renewable future that inspired Hyundai’s new model.